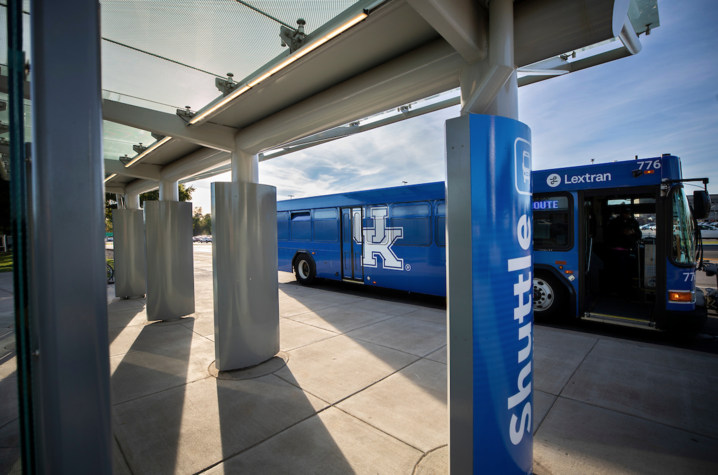 LEXINGTON, Ky. (March 8, 2019) — With Spring Break next week, University of Kentucky Transportation Services will adjust parking and bus services to reflect the needs of the reduced campus population. From Monday, March 11, through Sunday, March 17, all employee (E) lots will remain on control as normal. Most student lots will require any valid permit with the following exceptions: R2, R7, R17, R18, R19, R29 and R30. All lots will resume normal enforcement on Monday, March 18. The Orange Route (UK HealthCare), Pink Route (Kentucky Clinic) and On-Demand Route will continue to run on normal schedules. The campus Blue, White and Green Routes will operate on a modified schedule from 6:45 a.m. to 6 p.m. March 11 through March 15. All three routes will return to their normal operating hours on Monday, March 18. The Yellow Route will not run on March 10, but will run from 9 a.m. to midnight March 17, with its normal operating hours resuming on March 24. Kentucky Wildcab will run March 7 but will not operate March 8-9 or March 14-16 and will resume normal operation Thursday, March 21. Transportation Services strives to improve the quality of life on campus by offering responsive, sustainable and reliable access to infrastructure and mobility solutions. To learn more about transportation options, follow Transportation Services on Twitter @UKParking, or visit online at www.uky.edu/transportation.